Get creative and calm this Christmas with this book that combines the traditional advent devotional with colouring pages. The perfect gift for the creatives and coloring-book lovers in your life! Includes bonus activities and kid-friendly coloring pages for the whole family! This Christmas season, celebrate the birth of our Savior through beautiful design and devotion. Grab your colored pencils, cozy up with your favorite blanket and a cup of tea, and settle in for a night of peace and wonder with All Is Bright. For lovers of the Secret Garden and Enchanted Forest coloring books, All Is Bright is the perfect way to transform the Advent and Christmas seasons for your whole family, re-centering the holidays on the miracle of Jesus? birth. Combining 31 days of rich content by the beloved and inspirational Nancy Guthrie with intricate designs that will reconnect you with the heart of Christ, this coloring book devotional journey reminds us all of what the season really calls us to: worship. 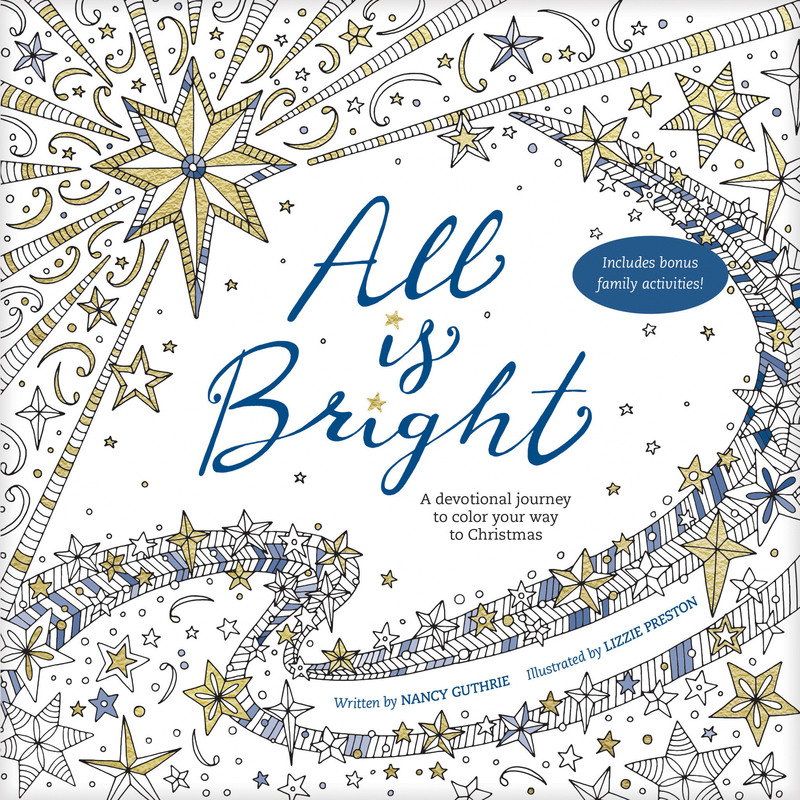 All Is Bright Coloring Book by Nancy Guthrie was published by Tyndale Momentum in October 2016 and is our 23061st best seller. The ISBN for All Is Bright Coloring Book is 9781496418029. Be the first to review All Is Bright Coloring Book! Got a question? No problem! Just click here to ask us about All Is Bright Coloring Book.